Hogarth’s Pest Control specializes in Oriental Roach removal. The Oriental Brown roach, AKA the water bug or black beetle, are a large species of cockroach that are dark brown or shiny black in color. The males have wings and the females do not. 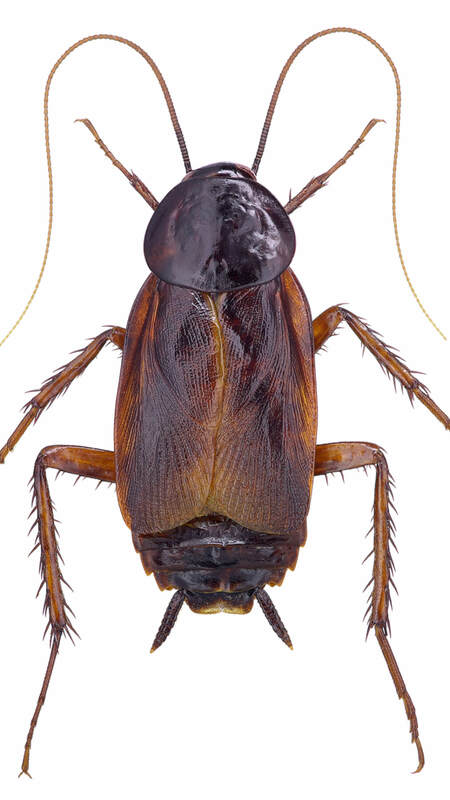 It is common to find the Oriental Brown roach in damp locations such as basements, sewers, drains, and mulch. An abundance of indoor plants can attract these roaches into your home. Oriental Brown roaches will eat almost anything, including trash. They often live in sinks and garbage disposals that are out of use for long stretches of time. Their foraging for food in homes can lead to disease causing bacteria on commonly used surfaces. It is important to seek help from a licensed pest control professional. Hogarth’s Pest Control & Wildlife Removal specializes in this type of eradication. We are eager to assist you in eradicating your Oriental Brown roach problem today! Give us a call.